This tea's history is surprising, as much as it's flavor. Ha Giang province has a very long history (over 2,000 years) of tea production. Local mountain tribes still pick much of the wild-grown tea, and hold spiritual tea rituals for the ancient tea trees that produce this tea. 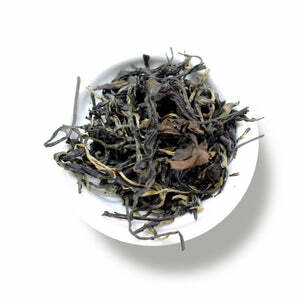 The tea produce from these wild trees is wiry in appearance, and has serious depth of flavor. Honey notes and a smooth toasty finish make this easy to sip on a daily basis. We recommend the teapot method, allowing these wiry leaves lots of room to infuse your water. Mug (8oz water):3 level tsp • 195º • Steep for 4 min. Resteep: 2 times for 4 min. 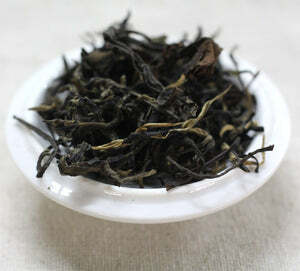 I fell hard in love with this Oolong. Smooth, rich & mild, with sweet vanilla notes in the first steep and increasingly chocolate notes in later steeps. An oolong ceylon baby, if you will. One taste is a master class in why ancient trees make all the difference.